Jay Kay Klein at Bucconeer (1998). Jay Kay Klein, who spent his final days in hospice care with terminal oesophegeal cancer, died May 13 reports John Hertz. Jay Kay was 80 years old. Jay Kay and his camera documented decades of fanhistory. His four photo-filled Worldcon Memory Books (1960, 1962, 1963, 1966), are nostalgic monuments to an era most of us missed. 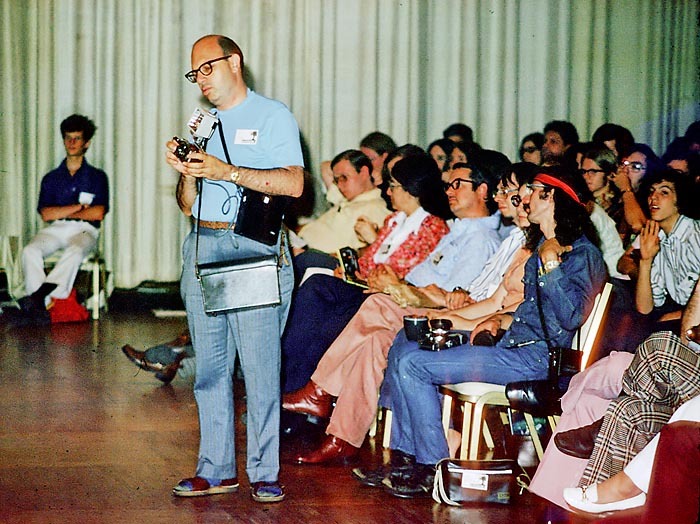 He was Fan Guest of Honor at Discon II, the 1974 Worldcon. He received the Big Heart Award in 1990, and just last year he was enshrined in the First Fandom Hall of Fame. Pros appreciated his work, too – he was awarded a SFWA Presidential Plaque for Extraordinary Photographs. Jay Kay entered fandom in 1945, at a Philadelphia SF Society meeting. 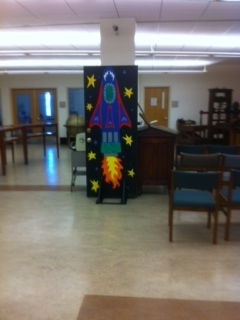 Within two years he also joined the Queens Science Fiction League Chapter in Astoria, Long Island, and the Eastern Science Fiction Assn. (ESFA) in Newark. Much later he was part of two failed Syracuse Worldcon bids in the 1960s. From 1977 to 2005 he wrote and supplied photos for the “Biolog” feature in Analog. As time went by Jay Kay showed considerable sensitivity to ways in which he felt overlooked. Sometimes he passed it off with humor. When MagiCon (1992) insisted fans show photo ID’s to register, Jay Kay claimed to have satisfied the requirement with an old photo from his portfolio showing himself on a con panel beside Robert Heinlein and Isaac Asimov. But another time I found it easy to agree that it seemed unappreciative when staffers at a Worldcon tried to discourage him from roaming in front of the stage to take photos during major events. After all, he had made himself legendary taking photos in situations like that. P. S. Trivia question: A photo of Jay Kay Klein is included in the “Fan Gallery,” a traveling exhibit displayed at Worldcons. Guess what former Worldcon chair was the photographer? (Not me.) The answer is at the bottom of this webpage. Jay Kay Klein taking a photo of Discon II’s other GoH, Roger Zelazny. Photo by David Dyer-Bennett. Jay Kay roaming in front of the audience at Discon II. Photo by David Dyer-Bennett. Legendary fan photographer Jay Kay Klein is in a hospice with terminal oesophegeal cancer reports Laurraine Tutihasi, who spoke to the person who placed him. Klein recently made news when he donated his photos to UC Riverside’s Eaton Collection. By John Hertz: Jay Kay Klein, the photographer of science fiction, has donated his photographs to the Eaton Collection. Shipments are arriving. It is best to arrange such things while one is alive. Klein shot all of us – sounds tempting, doesn’t it? – fans and pros. He was there, usually with several cameras. In monochrome, color, stereo, he took a hundred thousand photos. The Eaton Collection, on the Riverside campus of the University of California, is the world’s largest publicly accessible holding of s-f, with books, prozines, fanzines, ephemera. 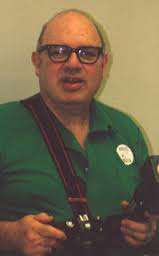 Terry Carr’s, Rick Sneary’s, and Bruce Pelz’ collections made Eaton the largest in fanzines. The Klein photos are a perfect match, and in their own right an element – I use the word deliberately. Since seven years were needed for a preliminary index of the Pelz collection, Eaton librarians delighted in finding Klein’s photos carefully identified. Perhaps I may be allowed to say that when I talked with him by phone about it recently he chortled. It had not been by the power of his mind alone that he laid hands on pictures as needed. Look at the Photo Yearbook in the 75th Anniversary issue of Analog (January-February 2005). The photos are Klein’s. See in particular his portraits of Campbell, Heinlein, Moore. Photography is an extraordinary combination of an artist’s vision and of fact. Of this Jay Kay Klein has been illustrative. No one can top an act like that, but I promised to say something about Selina Phanara’s door. It arrived safely, was placed duly, and is enjoyed muchly. Eaton is eager to make its resources available. It has a Website and a copying service. Visits in person are welcome. 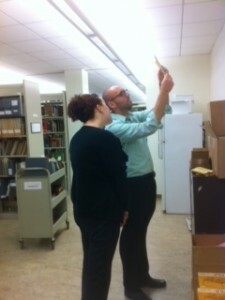 Two Eaton archivists studying a Klein shipment. Selina Phanara’s door in place.